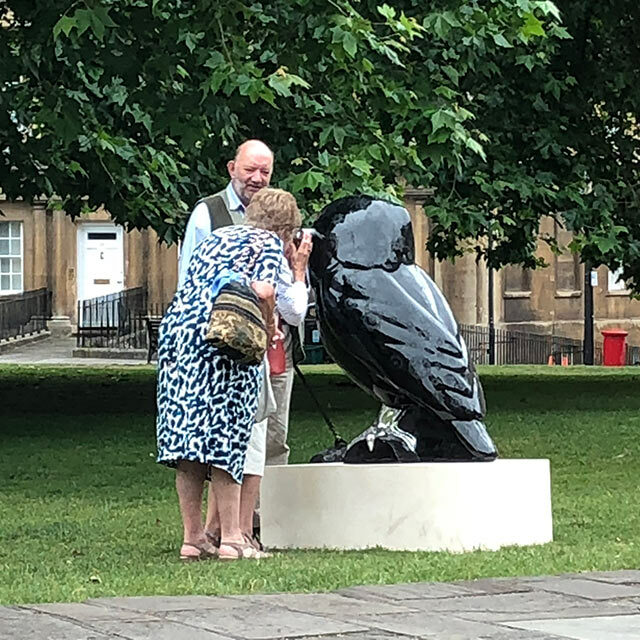 I was perched at The Circus, Bath over the summer. Bird of Play is a different breed of owl. At first glance it’s rather understated, however look through its eye and you will see an amazing colourful world in front of you. Through its award winning teleidoscope you will see Bath as you have never seen it before. 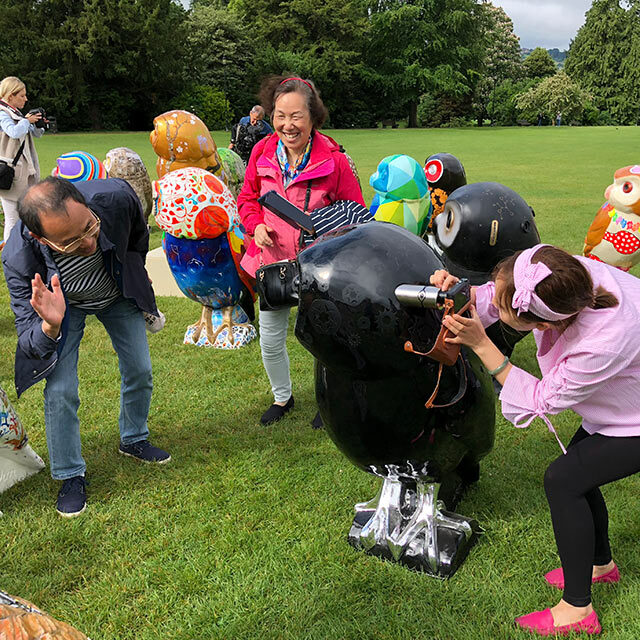 Bird of Play is part of the Minerva's Owls of Bath 2018 – a major public art sculpture trail featuring a giant flock of 85 individually decorated, super-sized owl sculptures displayed across Bath and surrounding region from 25 June to 10 September 2018. 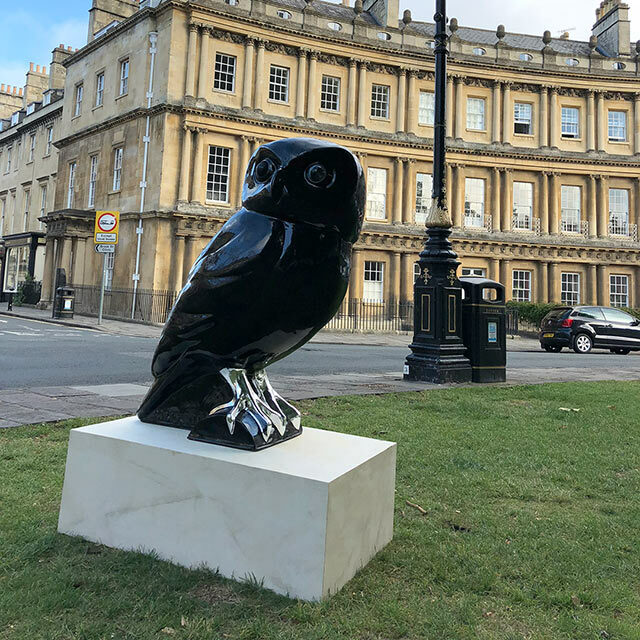 You can visit Bird of Play at one of Bath's most famous locations – The Circus. Created by Complete Control – an award winning digital agency based in Bath, together with expert assistance from our amazing friends at On Reflection, TwentySix01, Phoenix Enhancements and Banbury Innovations. 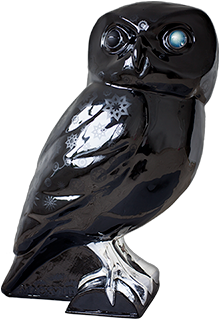 Thank you so much guys for all your help in making this concept a real'owl'ty. Bird of Play encourages you to play by taking your very own teleidoscopic images and videos through the owl's eye, and then share them on social media – a unique way to showcase our creative community. Copyright 2018 Complete Control/Minerva Owls.